Darrell Scott and his band were part of a higher-than-folk energy lineup at the Four Corners Folk Festival in Pagosa Springs. A sudden surge of energy rushed through the Reservoir Hill tent in the brief moments before Railroad Earth took the stage. Throngs of bodies surged forward. Chairs were cast aside, fences bulged under the pressure, and soon it was announced that there would be dancing under the tent. If you could see through the thick dust aroused by hundreds of shuffling feet, it was easy to tell that something was different at this years Four Corners Folk Festival in Pagosa Springs. Those goals were achieved with an easy eclecticism that makes perfect sense for a festival in its 17th year. The well-balanced lineup featuring acts of cross-generational appeal was a perfect representation of what folk music means today. Railroad Earth and Elephant Revival attracted a younger fan base to Reservoir Hill with their new interpretations and fusions of traditional music. Railroad Earth has taken the lead in attracting new audiences to folk music with their jam-band mentality and beautiful lyricism. Nederlands Elephant Revival is a self-described transcendental folk band, merging Celtic fiddle tunes with indie rock, jazz and even hip-hop. Unlike most years, the 17th Annual Four Corners Folk Festival brought in very few returning acts from the previous year. Among the few were perennial favorites Caravan of Thieves and Anne and Pete Sibley. Darrell Scott, who played at the Folk Festival in 2010, again brought his old country sound to the Pagosa stage. Daring to return through the Durango-La Plata County Airport after a disastrous, yet oddly inspirational trip four years ago, was the legendary Loudon Wainwright III. His song, Unfriendly Skies recounts his run-in with Susie, the airport employee who smashed his guitar before a show at Fort Lewis College. Starting his set 15 minutes early, Wainwright had the audience laughing in seconds with his dry, self-effacing humor. Singing many songs from his new album Older Than My Old Man Now, an exploration of death and decay, Wainwright incorporated excerpts of his fathers LIFE magazine columns into the act. Rounding out the festival were performances by Sam Bush and Jerry Douglas. Recording with the likes of Alison Krauss, Eric Clapton and Ray Charles, Douglas has won 13 Grammy Awards for his world-renowned Dobro instrumentation. Douglas was joined by legendary jazz drummer Omar Hakim, bassist Viktor Krauss and fiddler Casey Driessen. 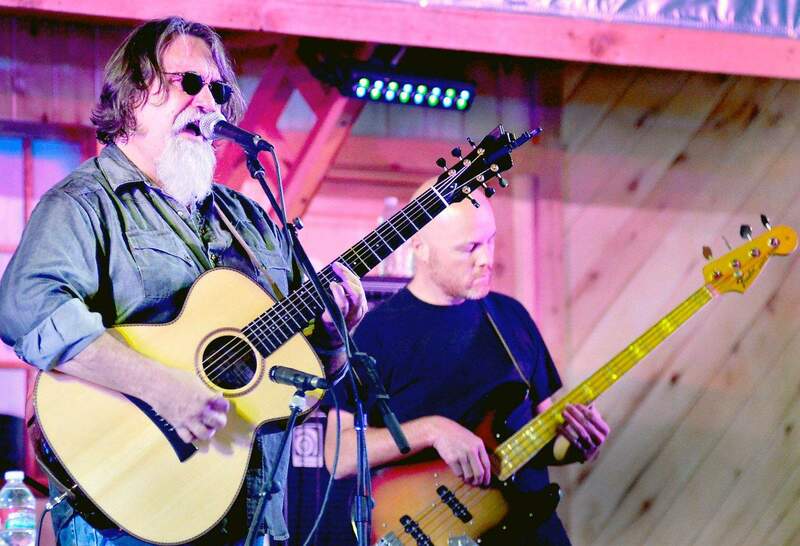 (Bush) started out as a bluegrass artist, then plugged in and turned it up, Munro said. The closing act, Bush played well into the night, his recognizable newgrass sounds echoing throughout Pagosa Springs. In 17 years, Folk West, the nonprofit that organizes the festival, has transformed Reservoir Hill into a unique musical venue. This year, the late night shows were brought back onto the Hill into a new, heated tent. Surrounded by forest and accessible by only a one-lane dirt road, Reservoir Hill is a secluded hideaway for festival-goers seeking a family-like affair. Experiencing one of its most successful years, the Four Corners Folk Festival once again proved its ability to bring some of todays best folk music into the far reaches of the Southwest. Margaret Hedderman is a freelance writer based in Durango. Reach her at margaretyh@gmail.com.